||: Begin Repeat (or “left repeat”): If there is an ‘end repeat’ but no begin bar, you’ll repeat from the beginning of the song. Upon completion of the repetition(s), continue to the measures following the end repeat. 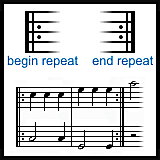 :|| End Repeat (or “right repeat”): If the end repeat is also the final barline, the song will end after the repetitions. Learn more about simple repeat signs. 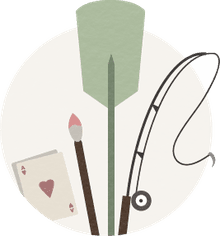 How to read and play D.S. and D.C. al coda / fine.